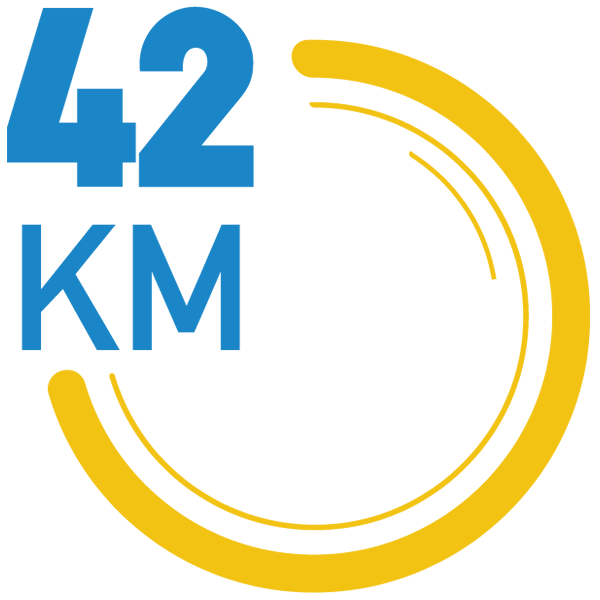 Marathon: 42,195 meters that will provide intense moments of emotion to the courageous runners who will run it. A path that in addition to the beautiful nature that characterizes it, is an ideal match for breaking records and outstanding performances. To enjoy the unique experience of participating in one of the races of the Radisson Blu Larnaka International Marathon and not put yourself in any danger, you should be fit and healthy at the day of the Road Race. The Organizing Committee encourages your participation. But we are morally obliged to draw attention to all participants and especially those who are not sufficiently prepared the previous period for one of the races of the Radisson Blu Larnaka Marathon. Everyone should know that, either do medical checkup, particularly cardiology, or not, in any case, the participation responsibility lies exclusively by the runner. The following instructions are designed, to best inform all participants as well as contribute to your performance, for a pleasant and secure participation. Avoid strenuous workout and rest early. Prepare the previous day all necessary things for your participation. Dinner of the eve day should be light and proportionally rich in carbohydrates (bread, rice, pasta, potatoes). Do not forget your hydration, especially if on race day forecast gives high temperature for the season. Avoid alcohol. The Backpack of the Organization with your dry clothes, with your participation paper number stuck on it. Do not run if you feel unwell, even if it is something you want very much and you prepare for it. Most medical incidents occur in athletes who, although not feel well, participate properly because they do not want to lose this sporting event. If you feel that you have a fever, if you are vomiting, diarrhea or if you have chest pain, please do not take part in the race. THERE IS RISK FOR YOUR HEALTH. Dressed with appropriate clothing depending on the weather. Wear shoes that you re-run, and you know that will not cause you blisters. Eat few hours before the starting time, very gently, avoiding fats. Start early for the starting area and avoid anything that could cause you stress. Start the race well hydrated. Up to half an hour before the race you can drink 250ml water. You need regular hydration and adequate supply if the charge during the race is very long. Drink regularly, but do not overdo it. Prefer drinks that you have already tried. Prefer fluids and viscous formulations that are digested easily by the body. Run slowly, particularly if the level of your preparation for the race that you run it was not satisfactory. Follow this advice and the most likely to meet the requirements without need some medical attention. Doctors and volunteers will be on route of the race and will cover health fight. If you leave the race, head to the nearest station with a doctor. Keep these tips and you should have as a guide before and during the Marathon Race. When you stop run, do not stand still. Keep walking, especially when you feel dizzy and drink enough fluids to replenish those lost during the race (especially those who finished the marathon). Go to the place that will pick up your stuff as quickly as possible, take your backpack and put on dry and warm clothing. Then be sure to drink something, but slowly, and eat, always at the same pace. After the finish do not drink large amounts of water. You can gradually hydrate over the next 24-48 hours. Some athletes feel that you still faint and half hours after the race, because they do not drink enough fluids, or not eating well. But again do not drink excessively. If, for whatever reason, feel weakness, dizziness, inability to move, look immediately medical personnel.